SFC presents the Oneberry RoboGuardTM, an autonomous security robot powered by EFOY Pro fuel cell. Innovative robot features proactive security, monitoring, marketing and administration functions. Thanks to the EFOY fuel cell the robot is always ready for use anywhere, anytime with extremely long off-grid autonomy. This is a decisive advantage over conventional battery-powered robots which require long hour of re-charging between assigned tasks. Oneberry RoboGuardTM is available for stationary, mobile and vehicle based applications. In addition to its monitoring and security functions the robot also offers information, marketing, and adminstration services: It will guide shoppers to specific stores, send out vouchers and coupons via Bluetooth or QR code, and promote sales offers. Features can be configured as per client specifications and requirements. These additional features will self-finance the system within months of operation, while it performs vital security and monitoring functions: Intelligent video based surveillance and analytics increase safety, while at the same time saving operating and personnel costs. 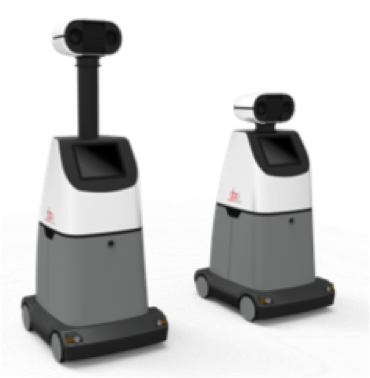 Oneberry RoboGuardTM is produced and sold by SFC partner Oneberry Technologies Pte Ltd, Singapore. Applications are events and infrastructure monitoring, retail and shopping center security surveillance, exhibition and conference operations, border security, industrial and construction site surveillance and safety detection, safety of public spaces and danger areas. The EFOY Pro fuel cell charges the Security Tower’s batteries fully automatically and constantly monitor their charge status. When required, the fuel cell automatically switches on, recharges the battery and then returns into standby mode – without any maintenance or user intervention required. The EFOY Pro 2400 fuel cell features an output of 110 W. It is also available as a Duo version with two fuel connectors for even more autonomy. Up to four fuel cartridges can be connected to one EFOY Pro 2400 Duo fuel cell via a DuoCartSwitch. 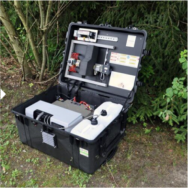 Typical applications of the EFOY Pro 2400 are mobile and off-grid surveillance systems or on-board power for electric and electronic devices in vehicles. EFOY ProEnergyCase is a portable, maintenance-free plug & play off-grid power solution, ready for use anywhere, anytime in virtually no time. Thanks to a robust, weatherproof case it is easy to transport and can be used in any terrain and any season. The EFOY ProEnergyCase features enough space for one EFOY Pro fuel cell and up to two 10 l fuel cartridges. An integrated solar charge controller enables hybrid operation with solar modules for extremely long power autonomy without any user intervention. EFOY ProEnergyCase is available for stationary, mobile and vehicle based applications. 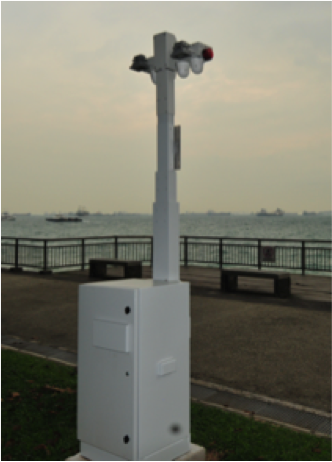 Application example: EFOY Pro EnergyCase will provide up to four weeks power autonomy for a 30 Watt CCTV camera. (Calculation: 30 Watt, continuous = 720 Wh per day => 20 kWh in 4 weeks; 2 x M10 fuel cartridge contains ca. 22 kWh). SFC Energy AG (www.sfc.com) is a leading provider of hybrid solutions to the stationary and portable power generation markets. SFC is the number one supplier of fuel cells, with over 40,000 fuel cells sold to date. The Company has award-winning products and serves a range of applications in the Oil and Gas, Security and Industry, and Consumer markets. The Company is headquartered in Brunnthal/Munich, Germany, operates production facilities in the Netherlands, Romania, and Canada. SFC Energy AG is listed on the Deutsche Boerse Prime Standard (GSIN: 756857 ISIN: DE0007568578).